Whew....I forgot how much little puppies are so much like babies. His name is Mac and is a golden retriever and we are in love. He has squirmed his way right into our hearts from day one. It's only been 4 days but he has learned his name, knows what "no" means and has almost mastered the art of ringing the bell hanging on the front door to let us know he wants to go out. And that's been my week. :) Now on to the party with your host this week. 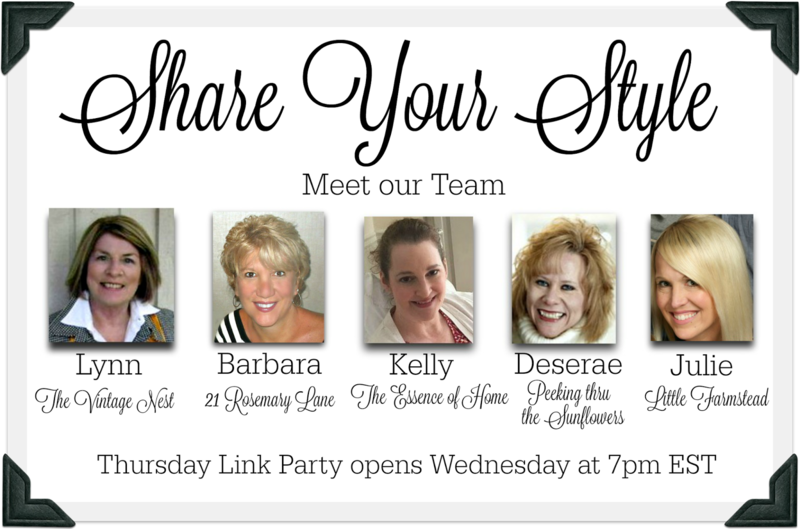 Welcome to the 82nd Share Your Style party! I'm Kelly from The Essence of Home and will be your host this week. When you link up to this party your post shows up on all 5 blogs at once! 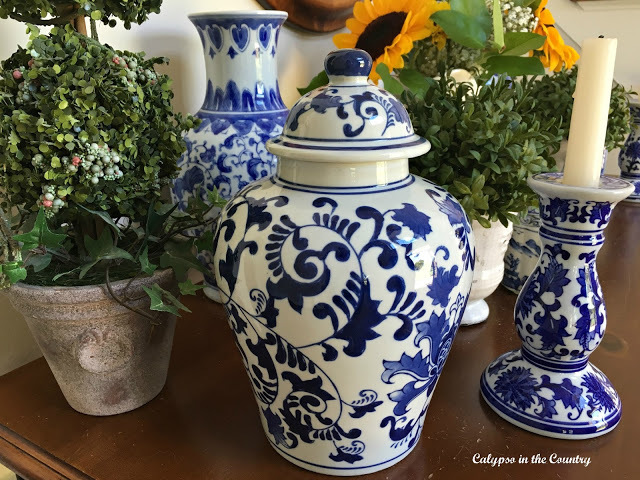 Calypso in the Country shared her beautiful collection of blue and white pottery in her foyer. She added pretty sunflowers to the mix as well. 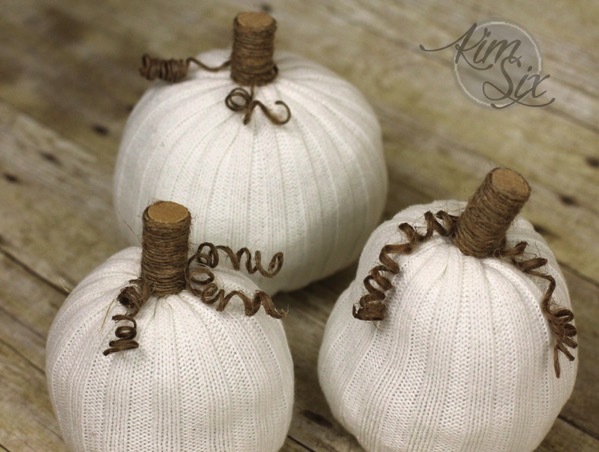 The Kim Six Fix shared a tutorial on how to make knit sweater pumpkins without sewing. Now, that's my kind of project! These are so cute and not difficult to make. 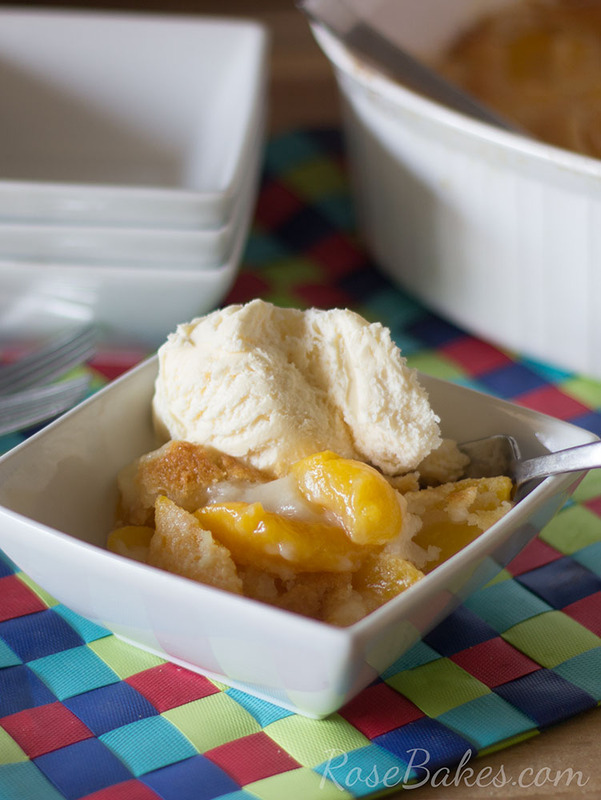 Rose Bakes shared her family's recipe for southern peach cobbler. I love peach cobbler and this recipe is very easy to make. It's also inexpensive. Most of us already have everything to make this in our pantry too! It is still hot outside, so peach cobbler should still be on the menu. If you were featured above, please grab this button and display on your blog! 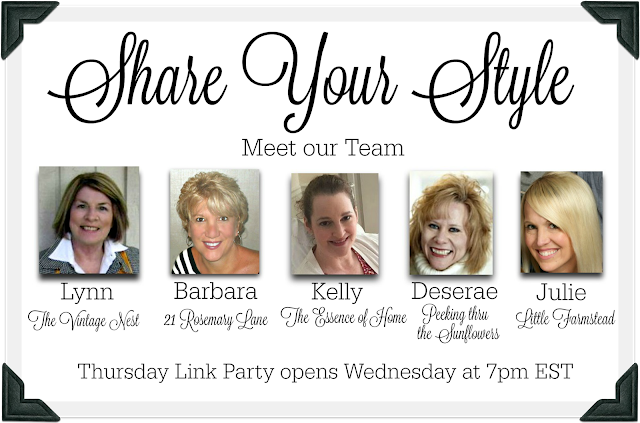 Okay, are you ready to link up your inspiration to share with us this week? Please leave a link back to this post on your post too. Looking forward to seeing what you have in store for us this week!